Appearing on Tuesday night’s edition of “The Story with Martha MacCallum,” Hume noted that, while King’s recent comments were “just too close for comfort” and were rightly condemned, the media should also be careful “flinging” around a term like “racist,” which has a specific meaning. He’s not going to get any awards for being a civil rights leader. But The New York Times did somewhat the same thing today. They had a big piece that said, ‘his long history of racist comments.’ I read every one of them. Some of them weren’t even about race. Some of them were about Islam, Islam is not a race, it’s a faith. Many of them might be considered insensitive, but they weren’t racist. Racism means a very specific thing, it means a belief in the superiority of one race over another. And it is taboo in the United States as well as it should be. But we need to be careful flinging this term around, because what has happened to this tragically is this great triumph of the civil rights movement making racism indefensible and intolerable has been weaponized. And the term now, the adjective racist is hurled around with abandon, and is the kind of thing that we in the news media need to stay out of the middle of. We shouldn’t be getting involved in this. We shouldn’t be throwing the word racist around with abandon. We should be very careful in how we use it. What NBC said to do in the first place which was to leave it to others to characterize as racist was the right call. The second call in my opinion was the wrong call. And that New York Times piece was completely bogus. 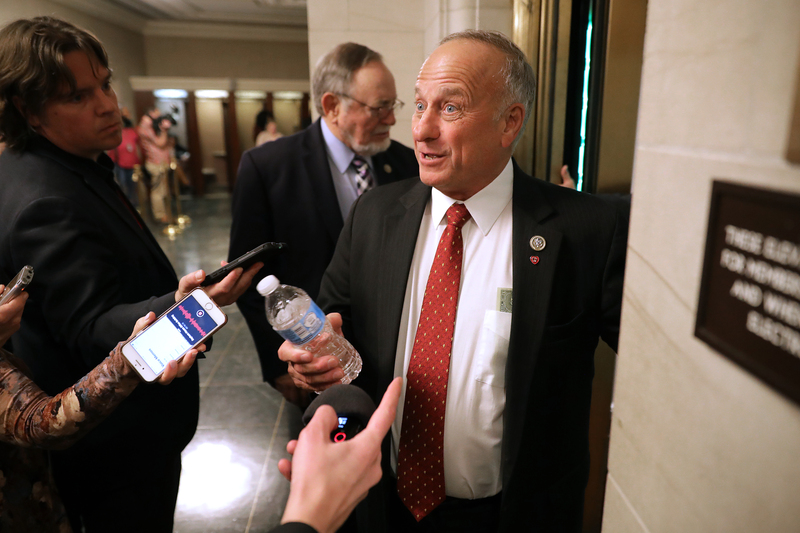 I mean, those comments, look I don’t agree with them and I’m no fan of Steve King. Look, I’m sorry, they did not amount to racism.